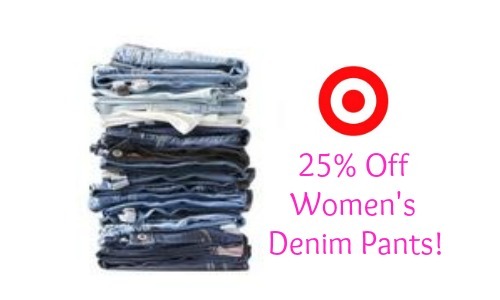 There is a great new Target Cartwheel offer available for women’s denim that you won’t want to miss. You can get 25% off Women’s Denim pants through 5/10! Do note that this excludes Liz Lange for Target, dENiZEN from Levi’s, Pure Energy & Clearance. If you’re in the market for a new pair of jeans, make sure to check out their selection. Valid in-store one time use only through 5/10.